← Can a US Soccer Girls Development Academy Prevent Overuse Injuries? Kids today are the most evaluated generation ever, but are they any better prepared than we were? Really? By some quirk of nature has all the talent landed in your class? If so, then the other teachers must have been saddled with the B, C, and D students, and some poor teacher is having to deal with those failing, bargain-basement students. I know this must be true because that’s the way measurement works. Statistically, it follows a bell-shaped curve: a few on the extremes, but the vast majority are middling. So, if somehow this teacher got all the top-end kids (which, of course, is statistically possible, but highly unlikely), then the rest of the teachers got the also-rans. Seems a bit unfair, doesn’t it? Or, might there be something amiss? I think there’s a lot gone wrong with this scenario, and it’s happening all over the country and in every setting where children live, work and play. Instead of receiving an honest evaluation, they are celebrating an A grade. 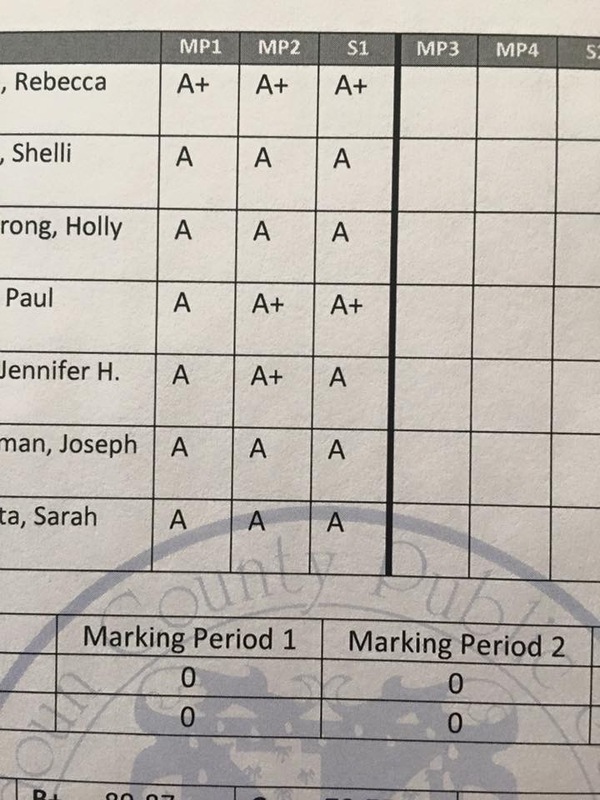 Do all these kids really deserve A’s? Is their work that far above average? Excellent, far exceeding…their peers? “So what,” parents may say, “it boosts their self-esteem and self-image. Now that they’re confident in their performance and achievements, they’ll set their sights higher and really excel.” Does it really? 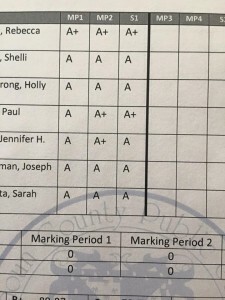 Do kids feel good about themselves when everyone in the class gets an A? I think we are kidding ourselves and letting our kids down in the process. What we really want for our kids is that they receive honest and fair feedback on their performance; this will guide them toward where their talents and proficiencies actually lay. They’ll know what they need to work on and where they have natural ability, interest, and aptitude. An A grade tells them nothing and it leaves no room for improvement. We parents may feel good about that, but we need to step out of this equation. Hey, when Nadia Comenici received a perfect 10 (or Bo Derrick for that matter), we might as well have all tossed in the towel and gone home. We’ve seen perfect; let’s work on something else. So what happened instead? We adjusted the standards. We quantified them better. We took out much of the subjectivity. Instead of rating based on comparison, we rated based on established standards. When the standards were outdated, we adjusted them. That’s where progress lay. We need to do this for our kids. They deserve honest and real feedback based on strict standards. And if our standards aren’t high enough to differentiate the A’s from the B’s and the C’s, then we need to raise them, so they can test out which approaches work and which don’t. Did that move work for you? Did that way of relating win you friends? Did that talk influence people to take action? Did that shot go in? All measurable. All creative. None of them happens if we hand them the A+ and say, keep doing what you’re doing. It’s perfect. Our kids aren’t perfect. Neither are their parents, coaches, mentors or friends. We are imperfect folks trying to get better at what we do. The best way to offer that to our kids is not to run ahead of them, making them feel good because ‘they’re great.’ The better way is to offer them honest evaluation based on their performance, within the limits of their age, stage, and experience. That’s what all of us really want. It’s what they need: a report card that reads…. “room for improvement” in some categories, “above expectations” in several and “exceeds expectations” in one or two. Then they’ll know they have potential there. They’ll be excited to pursue their passion – in the area of their actual high achievement. They’ll blow us away with what they discover they can do because they’ve been challenged. 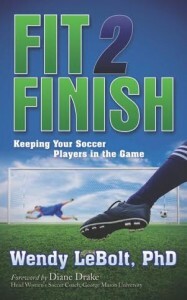 Since 2005, Fit2Finish has been working with parents, coaches, and athletes to keep youth sports healthy. Injuries and burnout should not be sidelining our kids, but young players need special care and handling to manage today’s demanding competitive schedules. Fit2Finish wants to put this know-how into your hands.